Are you looking for a strategy to get the best value from a brand and non-brand terms for your Google Shopping ads campaigns? Because bids take place on products and not keywords, advertisers find it difficult to target branded and non-branded search terms in the most profitable manner. 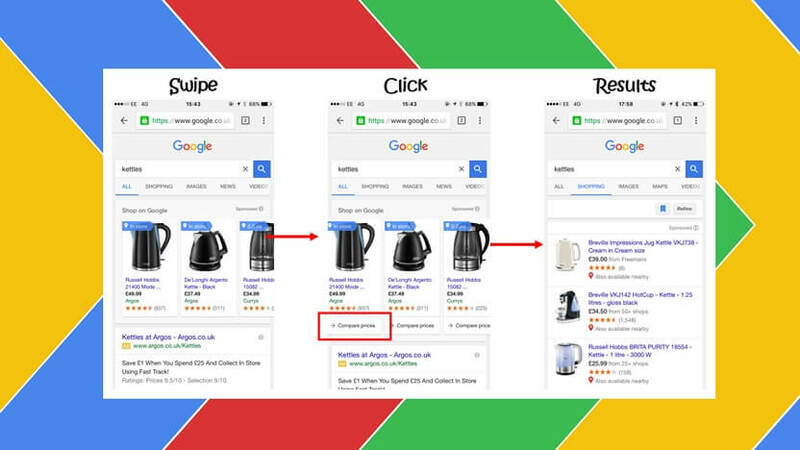 Google Shopping ads offer lesser control when compared to traditional text PPC ads. Ultimately, it’s Google that decides which product ad to serve for a particular search term depending on the product title and description you have in your data feed. But this article is not about optimizing data feed because even a keyword targeted feed may not be able to stop your ad from showing for thousands of searches and all those searches may not have equal value. Generally speaking, brand terms have more value because they indicate that a user is looking for specific information and is close to making a purchasing decision. Non-brand terms indicate that the user is higher up the sales funnel and although they are useful for driving higher traffic, non-brand terms have lesser value than brand-terms. Google Shopping management experts recommend creating separate campaigns for targeting each term type – branded and non-branded. Essentially, you’ll have two duplicate campaigns. This will help you set different daily budgets and bid differently on branded and non-branded products.You can have separate campaigns for different brands you offer and split ad groups by product type. For easier identification, you can set a filter to exclude search terms with your brand name in them. Consider using exact match for negative keywords in brand campaigns so that you don’t block relevant searches. For example, if you set ‘running shoes’ as a negative keyword with broad match, you would also block ads for say, ‘Adidas running shoes’. 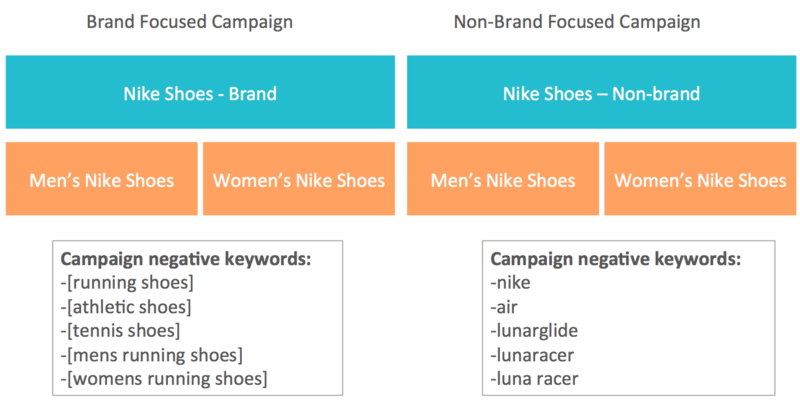 Shopping campaign management professionals recommend regularly updating negative keywords because it’s not possible to identify all of them when you first create a campaign. There will be many generic terms triggering your ads and a good practice is to review search terms reports every week and identify non-brand terms you can add as negatives to your brand campaign. The next step is to add negative search terms for each campaign so that it is more focused on either brand searches or non-brand searches. Pull a shopping search terms report to identify general terms triggering product ads and consider adding these as negatives to your brand campaign. Adding negatives to a non-brand shopping campaign is easier because you already know the brands you want to exclude. However, simply adding a brand term as a negative is not enough – add model specific terms as negatives. For example – by simply adding ‘Nike’ as a negative, you will not be able to stop your ad from showing for the search term ‘air max running shoes’. Select broad match type to exclude the maximum number of brand searches. A higher value brand campaign should have a larger daily budget than a non-brand campaign. You should also set higher bids so that ads that closely match products with search terms get placed higher. For non-brand campaigns, dive into user data in Google Analytics to see how audiences from non-brand searches are interacting with the website and also take a look at assisted conversion. The separate campaign’s strategy is more time-consuming but definitely useful to better utilize campaign spend for high-intent and low-intent audience. 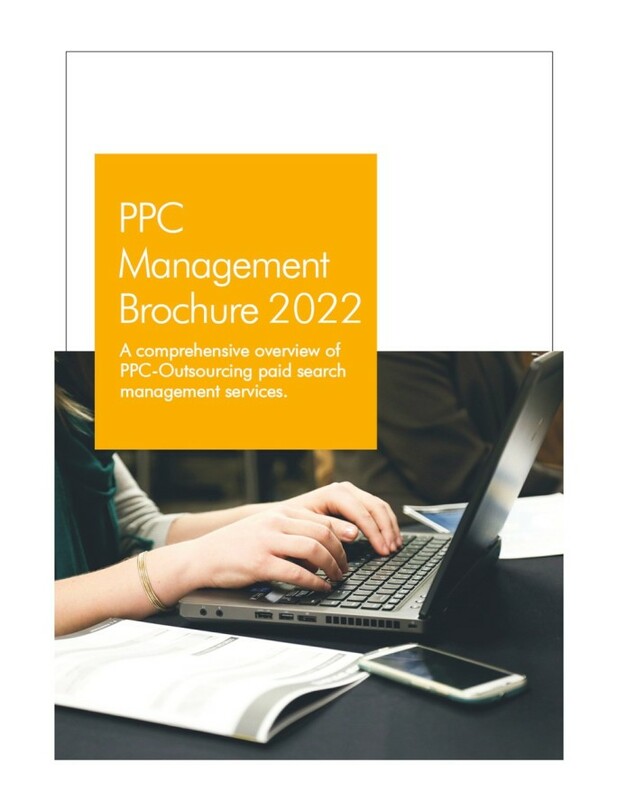 For help with implementation, consult us as we offer comprehensive white label PPC management services which also includes Google shopping campaign management services!